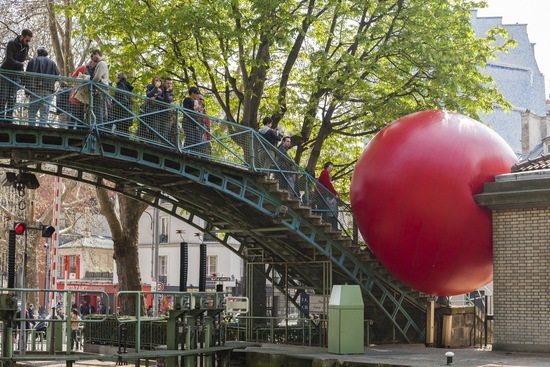 “Redball by American artist Kurt Perschke is installed Sunday at Quai de Valmy in Paris. Perschke’s RedBall Project has been exhibited in cities around the world. Photo by Laurent Emmanuel/Getty Images.